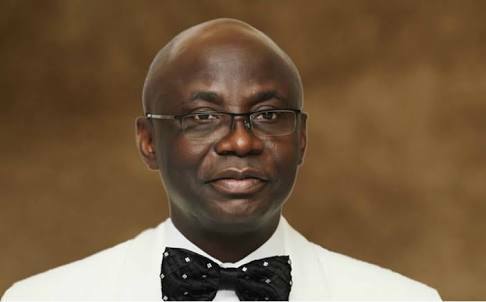 The convener of Save Nigeria Group (SNG), Pastor Tunde Bakare, has urged the Federal Government to restructure the country by encouraging each geo-political zone to develop along its area of best comparative advantage. Bakare said that such restructuring would return the country to the winning formula of the past that facilitated its socio-economic development. According to him, with restructuring, Nigeria can leapfrog within 10 years the phases of industrialisation to become a global industrial powerhouse comprised of six geo-economic zones. NAN reports that he said this during a State of the Nation’s briefing at his Latter Rain Assembly Church in Lagos on Sunday. He said, “The North-central zone can optimise its mechanised agricultural potential and harness the Rivers Niger and the Benue not just for irrigation but also for hydroponic farming. “It can become a centre of world class cattle ranching that will quell the menace of herdsmen attacks and also incubate allied opportunities such as meat, milk and leather processing. “The zone can then transit into heavy industries, including steel manufacturing and auto-manufacturing, while also harnessing the rivers as inland waterways and tourist attractions. “Similarly, the North-west zone can harness its vast arable land by deploying land-enhancing technologies for mechanised agriculture and cattle ranching, while also becoming Africa’s defence manufacturing hub. “With these arrangements, the zone will be providing sufficient competitive impetus to revive its historical potential as a central hub in Africa’s textile industry. “The North East will have the opportunity to redefine its identity from being a hotbed of insurgency to becoming a hub for cattle ranching, pharmaceutical and construction industries and its unique mineral resources such as clay, limestone and gypsum. “The South West can revive the vision of the late Chief Obafemi Awolowo, it will not just resuscitate its vast industrial and agro-allied manufacturing potential; it can become a global centre for warehousing and world-class sea and airports. “Lagos State can consolidate its position as the African hub of global finance. Nigeria owes this region the urgent activation of the pragmatic approach to restructuring. “This approach will see the zone progressively obtaining autonomy over these resources such that it can house a cluster of refineries and petrochemical industries,” he said. Bakare said that with these approaches, within 10 years, from a near unitary structure comprising 36 states, these geo-economic zones could evolve into six strong federating geo-political zones and a Federal Capital Territory. The cleric who condemned the recent killings in the country, prayed for the repose of the dead. “I am also saddened by the terror attacks on places of worship during the festive season. My heartfelt condolences go to the families and communities in Guma and Logo Local Government Areas of Benue State. “Those who began the year in grief because of the murderous activities of heartless criminals, I pray that they, and every hurting Nigerian, will experience the comforting hand of God."